Well-known for being a member of the English boy band One Direction alongside Louis Tomlinson, Niall Horan, and Liam Payne, Harry Styles has been conquering the hearts of the teenage girls since 2011. Despite being a part of the controversial group, Styles, the youngest member of the band, soon became the favorite of the fans, thanks to his good looks, curly hair, charming smile, and demeanor on-stage persona. Rose to prominence after being auditioned to the British music competition series The X Factor, Styles began his solo career in 2016 when he signed a record deal with Columbia Records. In addition to that, this English singer and songwriter has stunned the fans by appearing in film and television, including the Nickelodeon series iCarly and Christopher Nolan’s highest-grossing World War II film of all time, Dunkirk. Harry Styles was born on 1 February 1994, in Evesham, Worcestershire, England, UK. Styles was raised in Holmes Chapel, Cheshire in England. He is currently 25 years old. He attended Holmes Chapel Comprehensive School in Holmes Chapel, Cheshire, England. During the school days, he was the lead singer for the band White Eskimo, which won a local Battle of the Bands competition. Raised Catholic, he started practising Kabbalah since June 2014. This young actor has always been attributed a very large share of romantic link-ups. Even though, Style currently dates French-American model, Camille Rowe, he has had relationship with many personalities. His relationship with the British TV personality, Caroline Flack in 2011 was mostly discussed on tabloids due to the age difference between the two. He was then 17 while Flack was 32, but they broke off their relationship in 2012. Styles has been in relationships with several people, including Taylor Swift, Sarah-Louise Colivet, Kara Rose Marshall, Emma Ostilly, Cara Delevingne, Lily Halpern, Kendall Jenner, Erin Foster, Sara Sampaio, and Rita Ora. Unfortunately, we do not know about his body statistics at this time. He wears a size 11 (US) shoe, but the actual size is 10. During his stint in the boy band One Direction, they released their first single “What Makes You Beautiful” in September 2011, which debuted at number one on the UK Singles Chart. Following that, their debut studio album, “Up All Night” was released in November 2011 under Syco and Columbia Records. The album consists of 13 singles with a total length of 45:12 minutes. A total of 4.5 million copies of the album were sold. The group released their second album, “Take Me Home” in 2012. In early 2016, Styles left the band to pursue a solo career and singed a record deal with Columbia Records in February 2016. He released his first single, “Sign of the Times” on 7th April 2016,which peaked number one on the UK singles chart. On 12th May 2017, Styles dropped his self-titled debut album, which went on to chart at one number on several music charts in the Us, the UK and Australia. 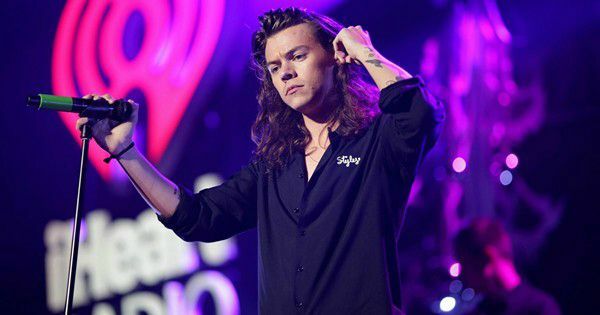 So far, Harry Styles has released one studio album, three singles, two music videos and one promotional single. The One Direction appeared in the British American 3-D concert film One Direction: This Is Us (also known as 1D3D). The movie released on August 29, 2013 in the United Kingdom. His debut television appearance was on The X Factor in 2010. He along with his band member appeared in a episode of the teen sitcom iCarly in April 2012. Thereafter, he has made several appearances in talk shows and television series. The budding actor has earned immense fame at a young age and his casting in the Nolan’s film skyrocketed his popularity through out the world. 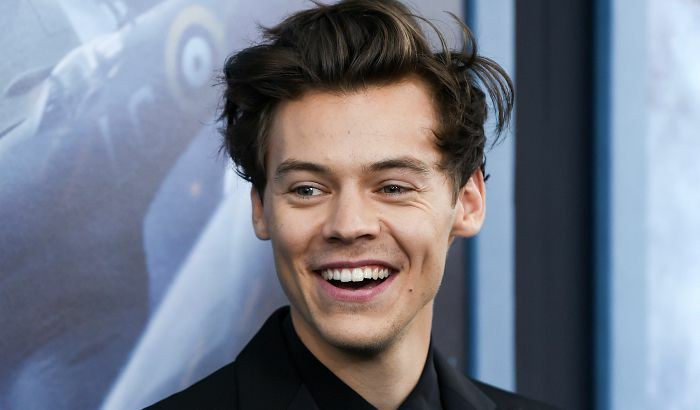 As far estimates, Harry Styles has accumulated a staggering net worth of $75 million. Most of his income comes from singing, music sales, concert tours, film and television appearances. His record deal with music labels sums up great value to his net worth. Styles lives in a luxury house of worth $3.5 million in London, UK. The house includes a recording studio. He also owns another lavish Miami, Florida mansion of worth $19.5 million including a swimming pool. He has several cars including Ferrari, Range Rover and Audi R8. His parents divorced when he was seven and later, his mother married Robin Twist who died in 2017. As a teenager, he worked part-time at the W. Mandeville Bakery in Holmes Chapel. His musical influences include Elvis Presley, Foster the People, Coldplay and Kings of Leon. Harry is good friends with Ed Sheeran. His popularity can be attributed to his devoted fan base on social media. He is being followed by more than 31.4 million followers on Twitter, 22.4 million people on Instagram and 14 million fans on Facebook. He sleep talks when sleeping. One Direction has won five BRIT Awards three NME awards, two Kids’ Choice Awards, and four MTV Video Music Awards, among other awards. It is the first boy band to gibe two hit albums in a calendar year in the US chart history.